Last week we reported that ETNews claims that Samsung is developing a hybrid Quantum-Dots OLED technology for its future TVs. Today Yonhap News reports that Samsung Visual Display Business VP, Han Jong-hee, denies this story, saying that Samsung sticks to its two-track strategy for the high-end TV market, developing both QLED (quantum-dots enhanced LED LCDs) and Micro-LED TVs. Han further says that Samsung will start selling its Wall Micro-LED TV in August 2018. 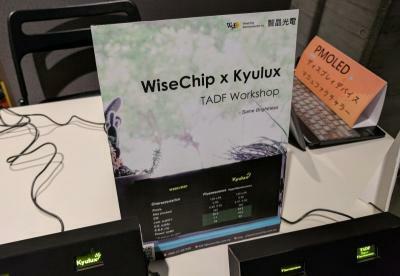 UK-based OTFT developer SmartKem announced that it has signed a landmark deal with a leading display maker in Taiwan that will enable the display maker to commercialize SmartKem's OTFT technology in flexible displays. The agreement will see a complete technology transfer, including production line deployment and supply of materials. This agreement marks the culmination of the LOI signed in November 2017. 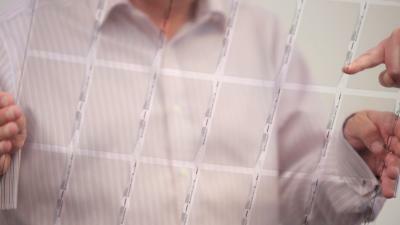 SmartKem updates us that this agreement covers both LCD and OLED displays. ETNews posted an interesting article, claiming that Samsung Display is developing a new TV technology that combines OLED emitters with quantum-dot photo-luminescence materials. The basic idea is to use blue OLED emitters and then convert the blue light to white light using quantum-dots combined with color filters (QDCFs) to add red and green colors. This seems to be a rather complicated design, but it could be much easier to produce compared to a true RGB OLED TV, as there is no need for precise OLED patterning. This is similar to LG's WRGB OLED TVs which use a white OLED source (made from yellow and blue emitters) and color filters on top. Will Samsung target new applications now that its smartphone OLED lines are under-utilized? 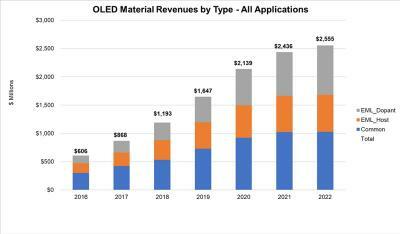 In the past few weeks we heard many reports that following lower than expected OLED orders from Apple (due to disappointing iPhone X sales) Samsung Display has suddenly found itself with under utilized OLED production lines. 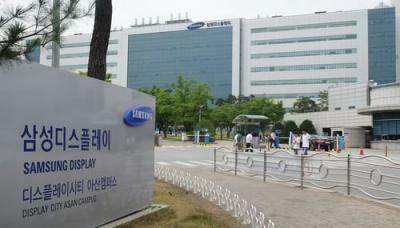 Samsung already said that it aims to find new customers for its OLEDs, mostly in smartphone makers in China. 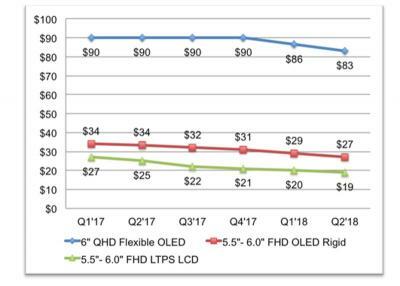 Some analyst say however that this won't be so easy as the higher costs of SDC's AMOLED displays deter some of its potential customers, who prefer to opt for lower-cost high-end 18:9 LCDs. 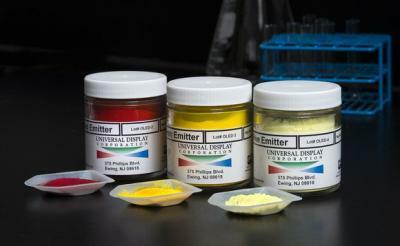 Universal Display announced that it has signed long-term OLED material supply and license agreements with Samsung Display. UDC will continue to supply its PHOLED phosphorescent OLED materials and technology to Samsung Display for use in its OLED displays. The agreements are scheduled to run through December 31, 2022, and may be extended for an additional two-year period. UDC did not disclose the financial terms of these new agreements, but we do know that Samsung will pay a license fee throughout the agreement period. 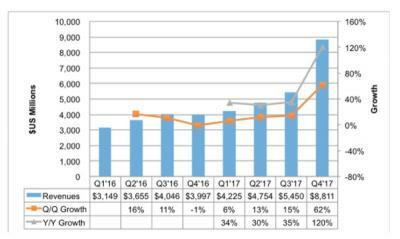 The previous UDC-SDC agreement ended on December 31st 2017, but for the past month and a half the two companies still conducted business of course as SDC's OLED production was not halted.